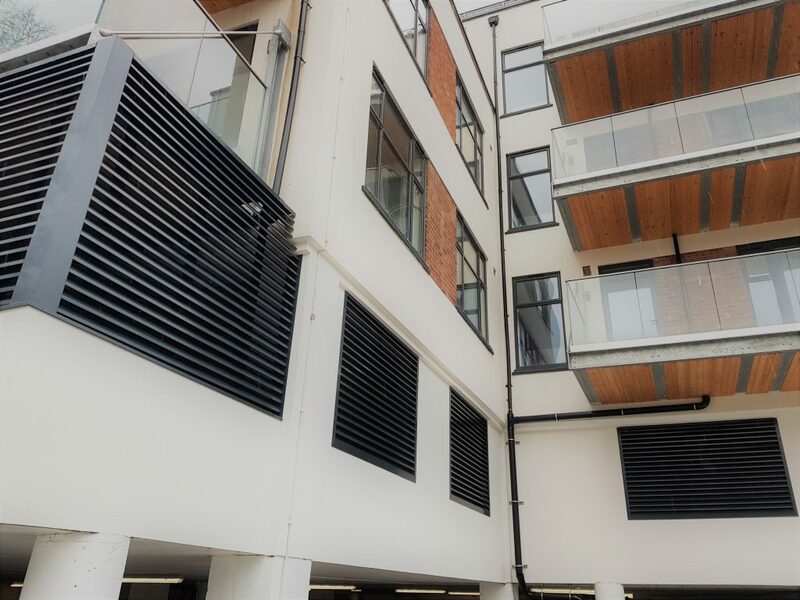 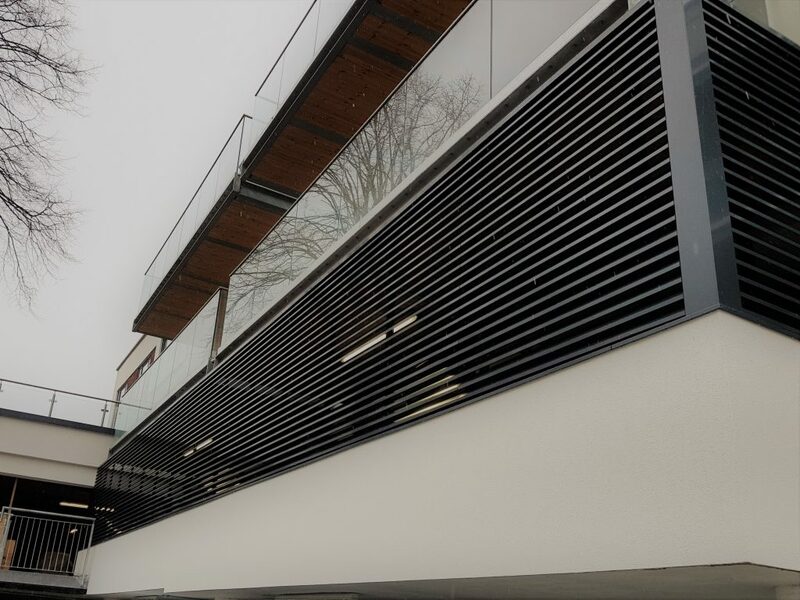 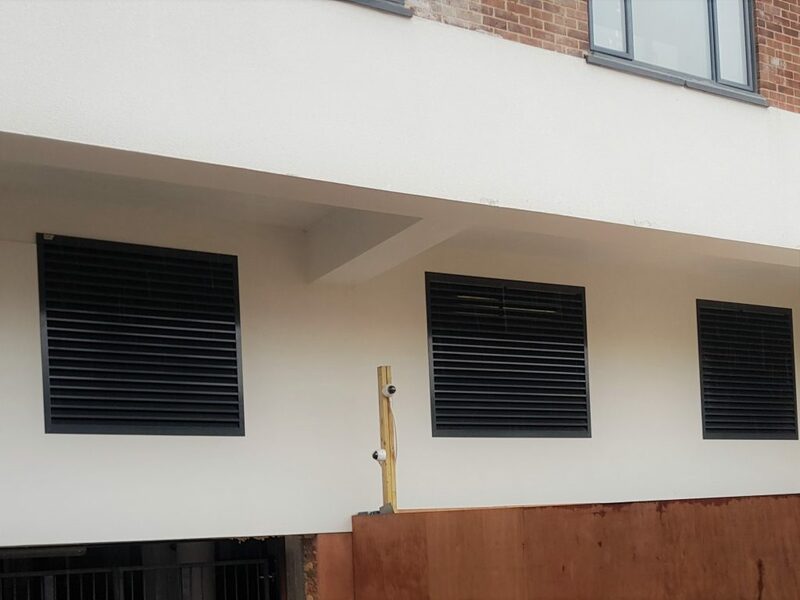 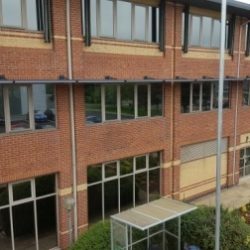 NLC recently installed a two sided louvre screen and 11 individual louvre panels to a residential property in London to allow ventilation into a car park. 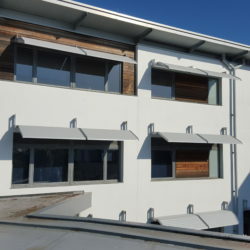 NLC recently installed this vertical brise soleil to a school in Lincoln. 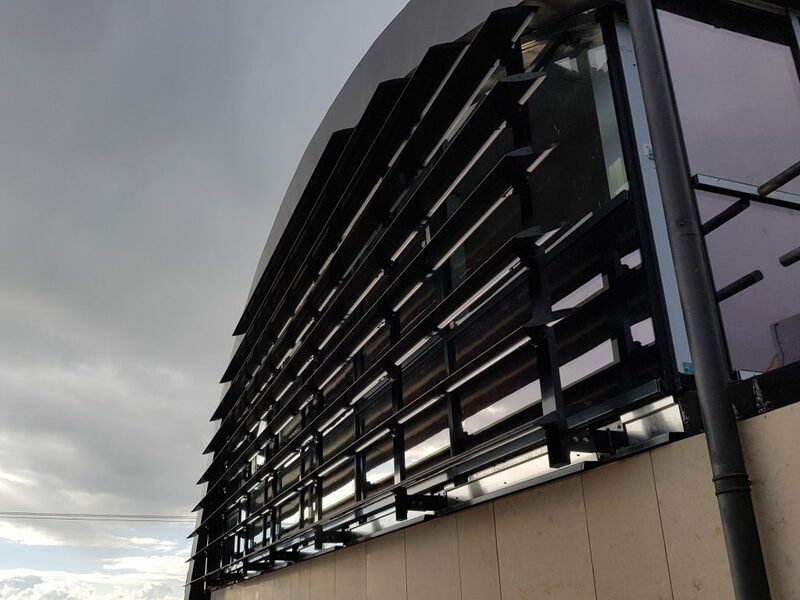 Vertical box section support posts held the 300mm elliptical blades in position at a 30 degree angle. 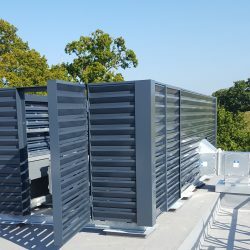 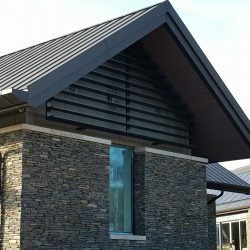 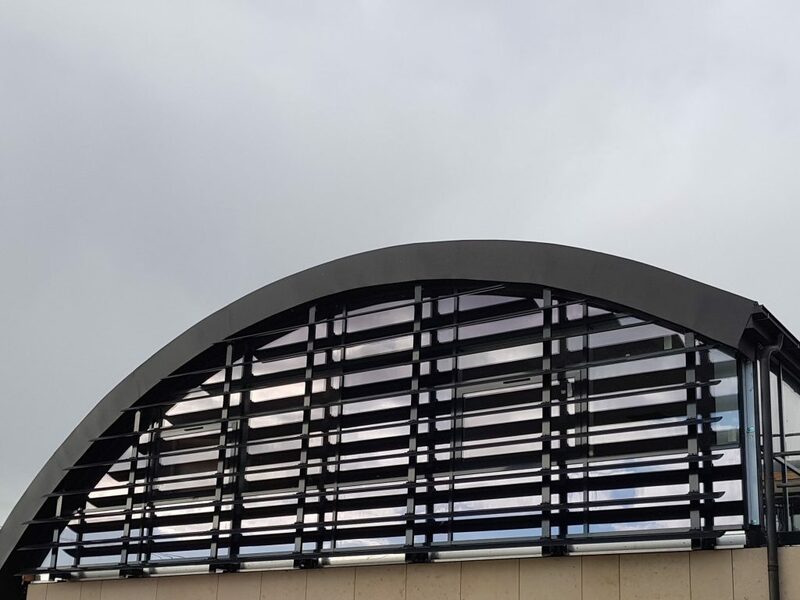 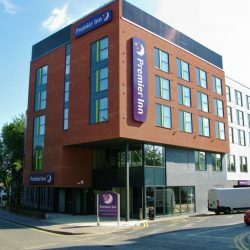 NLC’s most recent brise soleil project consisted of the 120mm timber blade system shaped to match the profile of the aluminium 120mm elliptical blade. 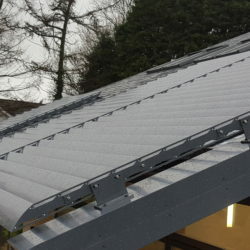 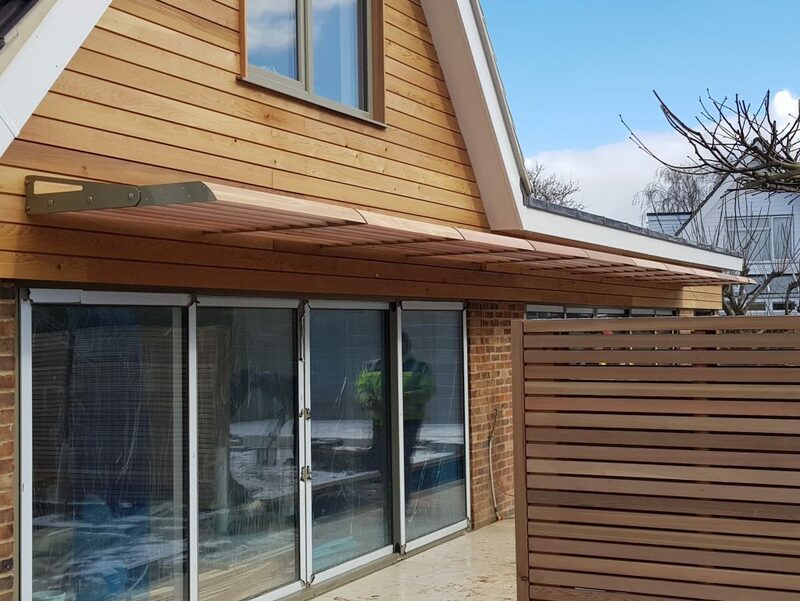 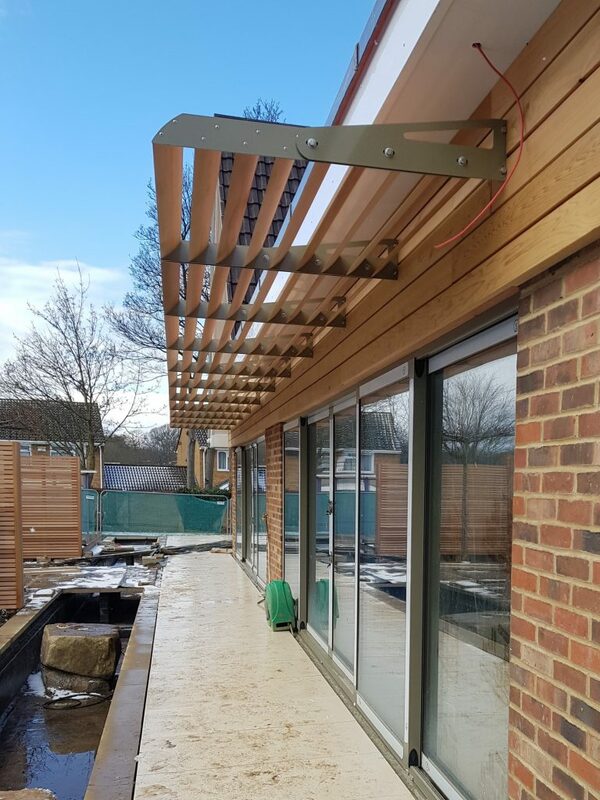 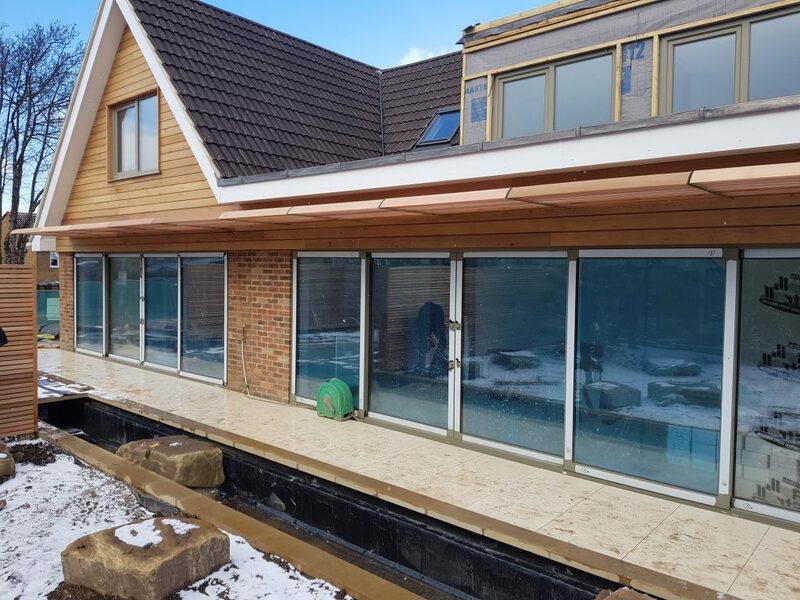 The timber blades are fixed to powder coated aluminium side frames and held in place by aluminium brackets hidden behind the cladding.